June and early July will be busy with regular events, special events, monastic travels and special visitors. Ajahn Caganando (pictured) returns to the Hermitage for a visit June 13 – 27, and Ajahn Sucitto will be visiting July 3 – 6, about the same time as the Bhante Rahula retreat. Details below. We have two garden parties in June. See our previous post about the second one on June 23. JUNE 2 and JUNE 23 — Two Garden Parties at the Hermitage this June. The weeds are just waiting for you! Time: 10:30 am – 4:00 pm, but you can come for any or all of the activities. It’s a great way to practice generosity, see the Hermitage, get to know some folks and have some fun! The yard could really use some help, since there was no garden party in May. JUNE 9 — Half-Day of Meditation with the monks in White Salmon, 1- 5 pm, at Yoga Samadhi. Mostly walking and sitting meditation. Brief dhamma talk. Cushions & chairs available. JUNE 15 & 16 — Monks at Portland Friends of the Dhamma (PFoD) Friday evening and for Saturday morning alms and meal. More information at the PFoD website. TUESDAY NIGHT SITS — Community Meditation, 6:30 – 8:00 pm, at Yoga Samadhi,White Salmon, WA. Cushions & chairs available. JUNE 17 — Monks at Hillsboro Meditation Hall. Click here for more information. JUNE 30 – JULY 1 — Abhayagiri Reception Hall Grand Opening at Abhayagiri Monastery, CA. The Pacific Hermitage monks and some lay community members will travel to Abhayagiri to help them celebrate the official opening of their new cloister area Reception Hall. Honored guests include Luang Por Liem, Luang Por Viradhammo, Luang Por Jundee, Ajahn Jayasaro, Ajahn Sona and many more senior monks. Talks and meditation will happen throughout both Saturday and Sunday. Visit Abhayagiri’s website for details as they emerge. JULY 4-8 — Bhante Rahula Retreat near White Salmon, WA. Retreat registration is open until June 15. Please see our previous post for more details and registration information. Questions? Please contact Mimi Maduro. Bhante will have his meal at the Hermitage July 3. 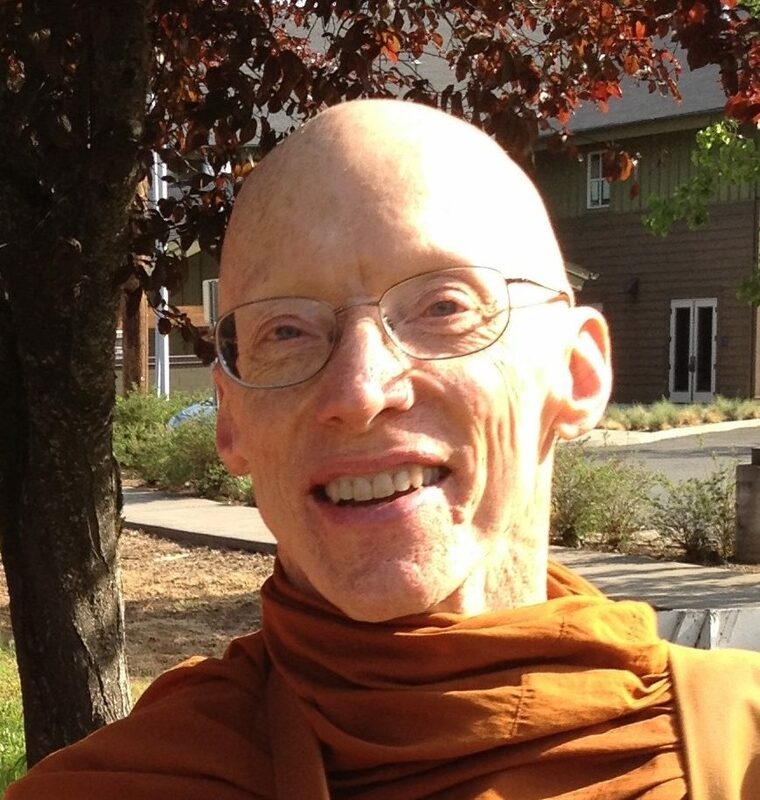 JUNE 6 – 12: Ajahn Sudanto will be away at North American Abbots gathering at Birken Monastery. 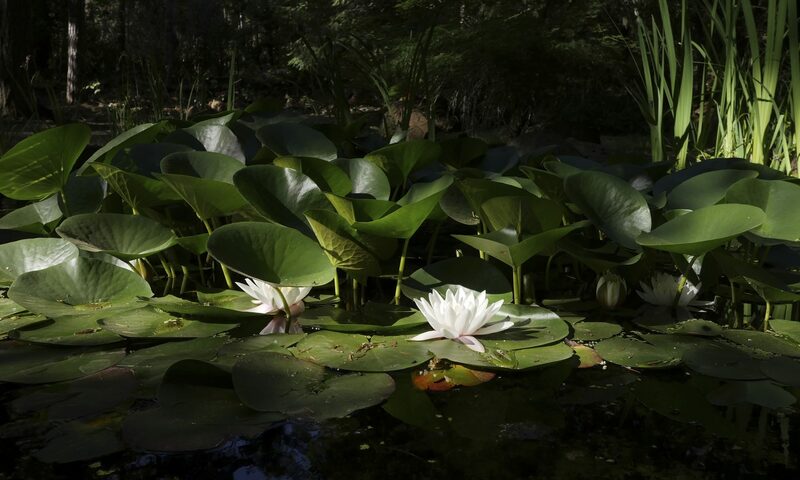 JUNE 13 – 27: Ajahn Caganando returns for a visit to the Hermitage after the Birken gathering. Ajahn “Caga” is well-loved in this community! He lived here five years as one of the original three monks who helped establish the Hermitage. JUNE 28 – JULY 2: All of the monks will be away at Abhayagiri Monastery’s Reception Hall Grand Opening. Venerable Sampanno‘s visit to the Hermitage will draw to a close when he returns for the celebration. Venerable Suddhiko will return with Ajahn Sudanto and Ajahn Kassapo for a stay at the Hermitage. JULY 3: Bhante Rahula will be at the Hermitage for the meal. JULY 3 – 6: Ajahn Sucitto is a beloved and gifted teacher and writer in our tradition. Don’t miss him July 3rd, when he will lead Community Meditation at Yoga Samadhi in White Salmon, WA. He will stay at the Hermitage for a few days.